Go hard or go to the back of the grid! 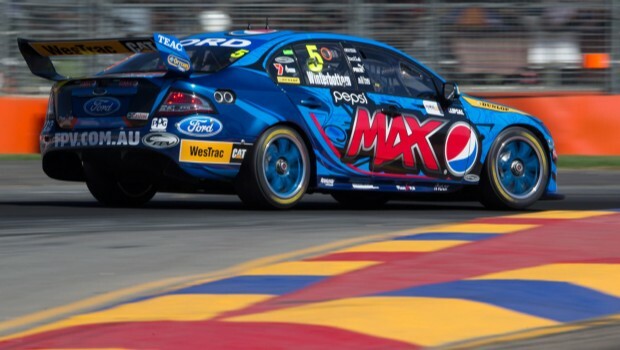 That’s the message from pitlane as the V8 Supercars circusprepares for the debut of the new 60/60 Super Sprint format this Saturday atSymmons Plains in the second round of the championship. The Super Sprint features two 60km lap races split by 15minutes. The grid for part one is established in qualifying, the finishing orderis purely about sorting the grid for part two. The second 25-lapper is wherethe points get paid out. Adding further intrigue and complexity, part two will featurea double file rolling start. The Tasmanian round will be completed on Sunday by two 120kmraces. That means there will be no refuelling pit stops all weekend while anychanging of the mandatory soft tyres will be driven by strategy rather thannecessity. “It’s all a new frontier, it’s going to be interesting,”said Ford Performance Racing engineering manager Matthew Nilsson, one of thefactory Ford team’s key strategists. then race like hell for points in part two. Nilsson said one of the keys to success in the 60/60 will begetting through part one without damage, because there is so little time tomake repairs at ‘half time’. If the car has to be trucked or towed it might noteven make it back to pitlane in time to contest part two. But get in clean and as well as refuelling and changingtyres, you might even have time to make minor performance enhancing changes aswell. “Fifteen minutes is not a lot of time, so the priority isrefuel, repair and then make changes,” he said. Nilsson identified the restart as a potential trigger pointfor chaos, because no-one can race until the leading driver gets the green flagfrom the starter, enters the ‘acceleration zone’ and elects to hit thethrottle. “The biggest concern is drivers on the ready with thethrottle who go early and what carnage that can create by only being car-lengthaway from the car in front,” he said. The consensus also seems to be that drivers will benefitfrom finishing part one in an odd numbered position, as that will line them upfor the restart on the left side of the circuit, meaning the inside line forthe tight left-hand turn two and the wider, faster line through turn three. “I would think anyone who is on the inside is probably goingto be in a slightly stronger position than those on the outside,” said BJRco-owner Brad Jones, another renowned strategist. But apart from those issues, the Super Sprint boils down toa very simple philosophy: forget the fuel consumption and tyre degradation andgo as hard as you can. Adds Nissan Motorsports co-owner and driver Todd Kelly: “Allit's about is getting in the car and going out there and racing as hard as youcan from when the lights go off, until when you get the chequered flag. One completely unknown factor in all this is how the new18-inch soft Dunlop tyre will behave through both Saturday and Sunday.Traditionally, there has been a little soft tyre degradation in the chillyTasmanian conditions. However, with safety cars a consistent factor over the yearsat Symmons, there is a strong expectation that someone running in the pack willtake the punt on a tyre change in the 120km races on Sunday. “Every team has a time they think the car is capable ofdoing and once it drops below that then you really seriously think abutchanging tyres,” explained Jones.